A formal testacy proceeding occurs in Arizona when an interested party files a petition to contest either the validity of the will or the fact the decedent is actually dead. In the event of a formal testacy proceeding, the petitioner raising the issue must notify all interested beneficiaries of any upcoming hearings at least 14 days prior to the date set for the proceeding. Notification may be accomplished by mailing copies of the pleadings to each party, serving each party individually or, in the event a beneficiary who cannot be located, publishing the details of the hearing in a newspaper of general circulation at least three times prior to the hearing date. Informal probate is the process through which an estate is processed pursuant to a valid will. Informal probate does not involve any objections or contests by interested parties. However, the executor is still under the requirement to notify beneficiaries that the will has been submitted to probate within 30 days following its admission. The notification must indicate the court where the will is being probated as well as an explanation that the beneficiary has four months within which to commence a formal testacy proceeding. This information must be mailed or hand delivered to each beneficiary whose address is reasonably available to the executor. In the event the estate is subject to litigation of any kind, all beneficiaries and interested parties must receive notice of the date and time of any hearing or trial involving the estate. As with formal testacy proceedings, estate litigation notices may be accomplished by mailing the pleadings to the beneficiaries, hand delivering the pleadings or publishing the details of any upcoming hearing in a newspaper at least three times prior to the date of the proceeding. 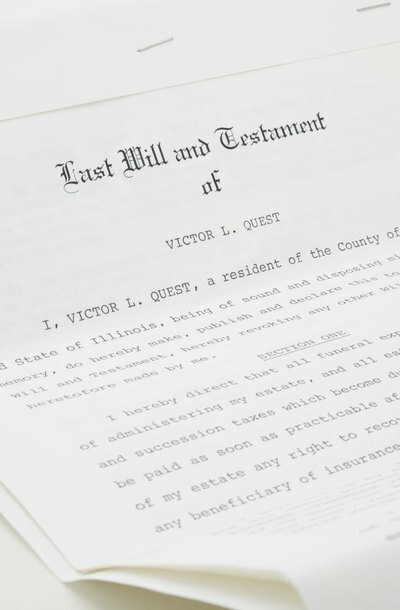 If an estate is organized under a trust, the trustee is responsible for distributing property upon the death of the trust creator, also known as the grantor. These transfers are known as "non-probate transfers" under Arizona law because trusts are not subject to the probate procedure. Trusts are governed primarily by the language contained in the trust agreement, which usually requires the trustee to provide notice to beneficiaries within a reasonable time following the grantor's death. Also, the trustee must keep beneficiaries reasonably informed about the administration of the trust and any material facts necessary to protect their financial interests. Trustees must provide beneficiaries with copies of the trust agreement as well as an annual report as to the status of trust property.